If you are a fan of the IZOD Indycar Series and the month of May doesn’t give you a case of the warm fuzzies, then something is seriously wrong. This is the month when speed is king and our diets consist solely of tenderloins. The smell of E85 gasoline intertwines with fresh Firestone rubber on the yard of bricks, and that’s when you know you are home. It might not be your physical home, but there’s something about hearing “Back Home Again in Indiana” over the sound of turbochargers that calls to each of us, letting us know we are at one with 200,000 brothers and sisters during our yearly reunion at Uncle Tony’s house. This month of May is particularly unique, since we have new cars and engines for 2012. Another unique thing is almost 1/3rd of the field being either true rookies or drivers that have required refreshers. I have to think that if there ever was a year when an underdog could sneak in and take a 500 victory, this would be the year. Then again, last year Dan Wheldon won the 500 in an ancient chassis on a small team. 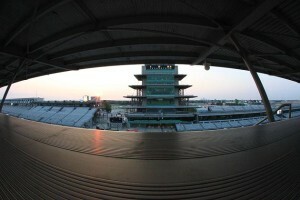 I think everyone can agree on the favorites to win the 2012 Indianapolis 500 Mile Race. Those names are Franchitti, Castroneves, and Dixon. Will Power is up there, but not quite on the level of those names, along with Ryan Briscoe and Oriol Servia. One step below them is Kanaan, Hildebrand, Rahal and Carpenter. The interesting thing is the names behind those. Aside from the Lotus powered cars, there is a great bit of parity amongst teams across the grid this season. 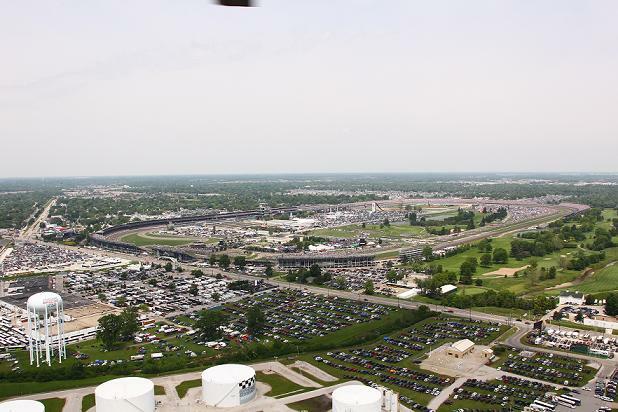 Let’s discuss what I believe are the top underdogs to consider for this year’s Indy 500. Josef has been absolutely impressive this season. Aside from a real derpish-rookie moment when he tried to pass Dario on the outside of Turn 1 at Long Beach, Josef has shown the poise and maturity of a veteran driver. He’s probably the best true rookie in the IZOD Indycar Series this year. Indy suits his driving style well. Yep. There’s two hot shoes in the Sarah Fisher camp this year. Clauson carries the weight of the (dirt track) world on his shoulders as the USAC boy tries to prove that Midgets/Silver Crown is still a viable route to Indy. He’s been impressive in his Lights series starts, and he’s been impressive in ROP and the first practices of May. He didn’t make the 500 last year, getting bumped in his Conquest Motorsports ride. This year, things are much different. A much more humble Saavedra now runs for Andretti Autosport in Lights full time, but is getting another shot in the big cars for Indy. Saavedra’s always been quick, but can he bring it all together and get a good finish? Here’s a quick bit of knowledge; Hinch’s lowest finish so far in 2012 is 6th. Outside of Will Power, James Hinchcliffe is the hottest driver in the series. He’s close to his first win, and it’s entirely possible for him to be a modern day Jacques Villeneuve, taking the 500 in his second start. He has the legacy of the #27 behind him with the skills and determination to back it up. Like Hinchcliffe, Simon Pagenaud’s been most impressive so far this season. His attempt to run down Will Power at Long Beach was a drive for the ages. He’s been quick in qualifying this season also. If Pagenaud can put it all together, he has to be considered a threat to pull off an upset at Indy. He’s one of the most versatile drivers in the field, and Indy tends to favour drivers who can handle any situation. I would be elated to see Oriol Servia win the 500. I’d probably be motivated to GO to Speedway next year.